Fossil finger points to early humans in Arabia 85,000 years ago - GeekCast en Español..
What the team found: After searching a site in the Al Wusta region of Saudi Arabia for nearly 10 years, they found part of a finger bone in 2016 along with hundreds of artifacts like stone tools and various types of animal fossils, including hippos. “It was like a dream come true,” Michael Petraglia, one of the study authors, told reporters during a press conference. 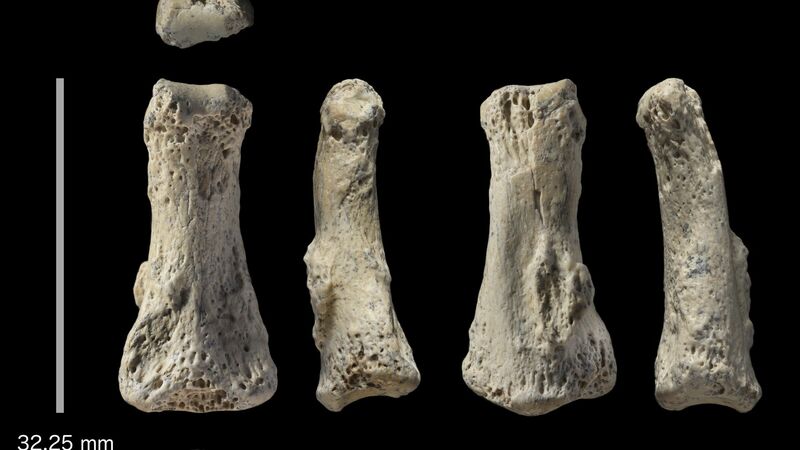 The testing “very strongly demonstrates” the bone is from an early human, according to University of Oxford’s Huw Groucutt, another study author who also spoke at the press briefing. Not only did labs confirm this, but the boneshape is much longer and thinner than Neanderthal fingers, he said. Yes, but: Richard Potts, paleoanthropologist and director of the Smithsonian Institution Museum of Natural History’s Human Origins Program, says he agrees the bone is “probably” from a Homo sapiens but adds the claim that it is the oldest may downplay other recent findings in East Asia and Australia that also support the idea of smaller, periodic exits from Africa or its bordering Levant region. The big picture: “It’s not just one single wave out of Africa 60,000 years ago,” Petraglia said. “We’re arguing here there were multiple dispersals out of Africa. The movement was far more complicated” than originally thought. ← HBR Case Study: Time for a Unified Campaign?